Winner of IAPLC 2015. 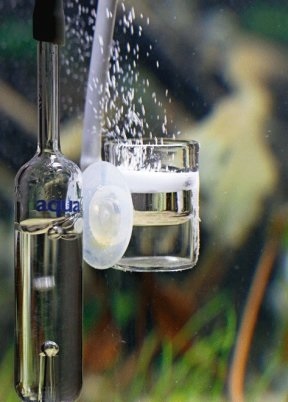 Courtesy IAPLC & Aquabase. © Aqua Design Amano Co., Ltd.
During my time on internet, I have noticed many questions about the use of CO2 and its interactions inside the ecosystem of the aquarium. They are not only related to its role into the photosynthesis and how to dose it, but also about some of its chemical and physical properties, or effect in livestock. As usual, many of the answers I have read are quite misleading and lacking of scientific basis. One of the goals of The Living Tank is to provide solid and scientific-based information, and make it accessible to all the hobbyist of the Aquascaping and Planted Aquarium. Because of that, and considering the confusion about this nutrient into the aquarium, I have decided to prepare a "not so short" article about it. 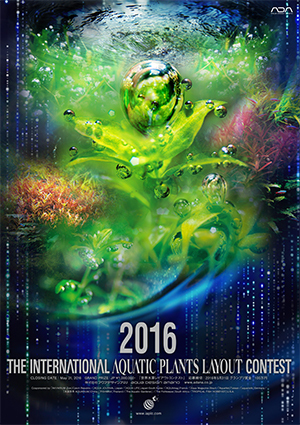 As many of you already know, the results of the Internatonal Aquatic Plants Layout Contest (IAPLC) for 2016 have been published today. This is a long-waited moment for many of the participants, and as every year, it is also the moment in which some of the submitted works start to appear in the social media. These works will, undoubtedly, condition the Aquascaping trend for the next year, so it is worth to keep an eye into them. The full ranking is available through the IAPLC website, but I provide you a direct link to it, here. In The Living Tank, we have thought to provide some information based on these results, with some facts and side rankings that you can find interesting. Perhaps you have heard before about the CO2 drop checker. Or perhaps not, but it is quite probable that you did not get the full idea of what is telling you and how interpret it. This article is thought to introduce this useful device to those who want to use CO2 in the aquarium and they do not know how to control its dosage of the tank. It will be also very useful to clarify how to read it, as well as discussing some of the most persistent questions about it. Note that part of the discussion can become rather technical. I will try to keep it in reasonable levels, though, but I will include some sections that can be very tricky for those who have not been involved in Chemistry education. As a traditional seal of The Living Tank, I have decided to include that, so people can see this is not just "another interpretation" but just the valid interpretation that should be considered.